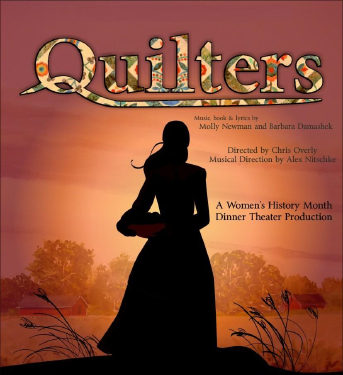 Quilters is the musical story of a pioneer woman and her six daughters. A mosaic of colorful quilt patches or "blocks" capture the lives of women on the frontier - telling of girlhood, marriage, childbirth, spinsterhood, twisters, fire, illness and death. In the end, when the various patches are assembled into one glorious, brilliantly colorful quilt, the effect is both breathtaking and magical-and a theatrical masterstroke which will linger in the mind and memory long after the house lights have dimmed. Reservations, advanced payment and meal selection are required for this Mannheim Dinner Theater production. Season Ticket Holder Reservations begin Jan 25. General Ticket Sales begin Feb 1. Reservations can be made at the Roadside Theater, Bldg 109, Patton Barracks; Tues- Fri from 12-5 pm; calling DSN 373-5020/CIV 06221-175020; or at www.roadsidetheater.com.